When the body’s structure is optimally aligned, not only does it eliminate pain, reduce inflammation, and stop the degeneration of joints and discs, it also enhances the flow of energy in the body and awakens us to greater mental clarity. 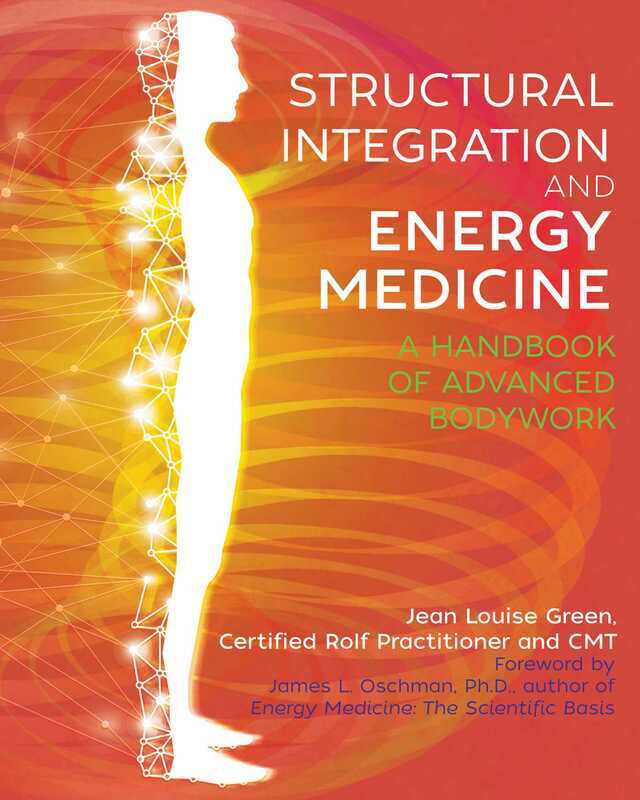 In this illustrated guide to Dr. Ida P. Rolf’s Structural Integration process, Jean Louise Green introduces the principles of Structural Integration and details each of the 10 sessions in the Structural Integration bodywork series, explaining what to expect and how to maximize the benefits. She explores the relationship between the energetics of the body and its alignment, including an advanced scientific understanding of how gravity can become a beneficial force when the body is properly aligned. She provides clear, accessible descriptions of core concepts such as the Rolf Line and the torus, including a detailed explanation of how to access the energetics of the Rolf Line. She illustrates the rotation patterns of the body and explains how they contribute to pain and how correcting them may minimize the need for hip and knee replacements. She provides movement exercises and support tools for self-care and maintenance between sessions and explains optimal body mechanics for moving, sitting, and standing as well as how to avoid putting stress and strain back into the body. This book is an excellent resource guide to accompany a person through their Structural Integration series. The author also explores how to incorporate Joseph Heller’s psycho-emotional Hellerwork themes in the Structural Integration process and looks at holistic support tools such as electromagnetic resonancing, far-infrared saunas, essential oils, gratitude practices, meditation, and the Five Tibetan yogic exercises. Before you begin, write down all your current symptoms and conditions that you would like to resolve. Formulate your goals and intentions. Doing this will enhance the benefits of your ten-sessions investment. The body has a great capacity to shift with this work. Changes may be noticed immediately upon standing after the session or experienced through an accumulated effect during the series. Toward the end of your ten-session series, the majority of the ailments on your list may be completely forgotten or significantly improved. Each person’s experience of the work will be unique according to their own body’s needs and personal history. Because of the connection between body, mind, emotion, and spirit, you might consider not only physical goals but also personal goals. This work is a springboard for creating major positive change. It can usher in the next level of who you are becoming. With that in mind, what is it in your life that you would like to bring in or accomplish at this time? Joseph Heller is a respected early colleague of Dr. Ida Rolf and a former president of the Rolf Institute. He is the founder of Hellerwork Structural Integration and an authority on the emotions and their effects on different parts of the body. Heller’s brilliant, insightful themes add new depth to the work. He realized that most people’s stress is mental and emotional in origin, and that stress gets stuck in different parts of the body. Joseph Heller described the theme of the first session as “Inspiration”: “The meaning of the word ‘inspiration’ is ‘draw in spirit’: inspiration is not only to inhale oxygen, but it is also to be filled with--or to be in touch with--spirit.” Breath is our prime connection with life force. The first session can be an inspiration for being able to breathe deeply and fully give and receive love. The spirit of the first session is of being reborn--of something special having happened. • Create awareness of client’s baseline structure. • Establish a working relationship. • Open up the breathing capacity. • Lengthen the front of the body. • Begin to release restrictions in the pelvic and shoulder girdles. • Begin to free the legs. • Introduce client to their Line for the first time. Acquaint the client with where the top of their head is and where their feet are in relation to the gravitational field. The front of the body will be longer after this session. The work will create the need for the lengthening of the back in session two. This is the beginning of freeing strain in the rib cage, shoulder girdle, legs, hips, neck, and back. As a result of the first session, breathing capacity may expand by 25 percent. More of your weight may be on your heels. Also, the ribs may lift as the weight bearing down into your feet has shifted. The work of Structural Integration helps break up patterns of disorganization that are stuck in the soft tissues of the body. The stretching and breaking down of such tissues releases toxins that may cause the body to feel sore after a session. Take a ten-minute walk immediately after your structural integration session to help your body integrate the work. Walking will help your body adjust to its changes in alignment and relationship with gravity. Follow the walk with a detox bath to help eliminate toxins quickly through the skin. Detox baths lessen side effects from the release of toxins during your sessions. Otherwise, side effects could include dizziness, headache, nausea, body ache, fever, or flu-like symptoms. If toxins are not removed from the body within six hours, they can move back into the blood stream into deeper layers of the connective tissues causing soreness in the body. If any soreness remains after your detox bath, rub some arnica gel into the area. Arnica increases circulation and reduces inflammation and pain. As long as there is inflammation, pain will be present. Inflammation needs to be reduced in order to diminish pain. Increase your water intake before and after your sessions. Water rehydrates the connective tissues and helps flush out toxins released in the bodywork. It is recommended to drink half of one’s bodyweight in ounces of water per day. Increase the intake of protein in your diet during your Structural Integration series to help support the formation of new connective tissues during this time of reorganization in your body. Because the psyche and soma are so connected, the practitioner’s work around the rib cage may cause feelings to surface during or after the session. Often with the freeing of the breath can come a reawakened enthusiasm for life; however, there can also be sadness as repressed emotions begin to stir. “Jean Louise Green writes lucidly of both her personal experience as a client and practitioner of Structural Integration as well as including information about new developments in the field in an accessible form for both practitioners and anyone who is interesting in learning more about Bodywork. She touches on the subtler energetic aspects of Structural Integration, which serves as a helpful guide to looking deeper into the work. I wish there were more books as thoughtful and engaging on the subject as Structural Integration and Energy Medicine!" "Jean Louise Green has undertaken the daunting task of articulating the indescribable to the uninitiated. Green introduces the magic, mystery and wide world of Dr. Rolf’s revolutionary work to the next generation. A work that is virtually unknown and often discounted because it is immeasurable. The benefits are measured in the quality of life changes that people go through by receiving the Basic series, sequence and process. If you are looking at this book and you feel you are ready for change then please open Structural Integration and Energy Medicine. Read it with an open heart and mind and let it settle in as you may consider finding a practitioner to start you on your journeying your body conscious, centering and settling into the nature who you are."